Fixing a relationship concept as a man and woman pushing a broken heart together as a romantic couple repairing thier love with 3D illustration elements. In many cases, only after a separation do we become aware how special a beautiful love relationship is. 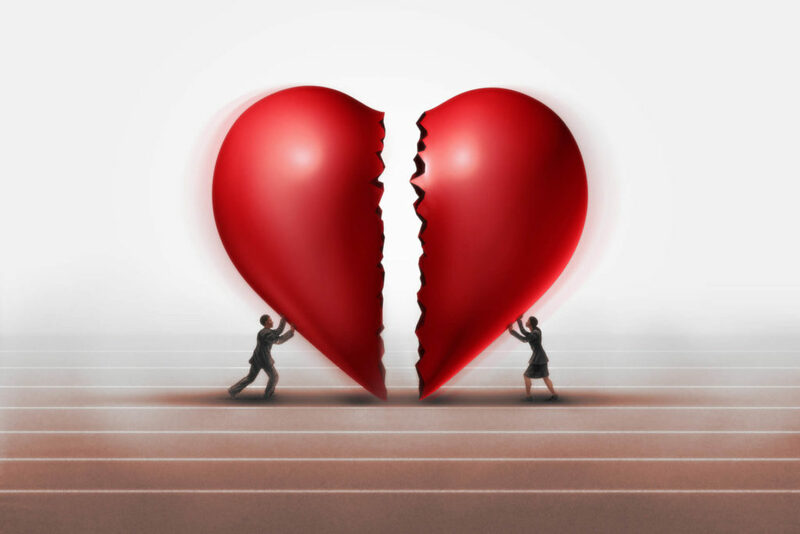 The end of such a relationship can cause great heartache, remorse, and fear of loss. Therefore, singles often try to win back the ex-partner. But can this even work? Is there a specific strategy to follow? Are there good tips in this context? How should one approach such a thing? First of all, you should ask yourself why you want your ex back. 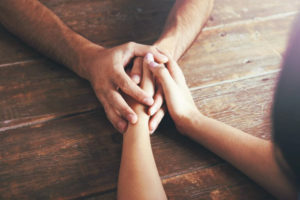 It is important to know whether feelings are still involved or whether, for example, the fear of being alone is the true reason why you want your ex-partner back. After a break-up, many people fear that they will be alone forever. Financial worries can be a reason why people want a relationship back, as well. An objective analysis of why the break-up happened is unavoidable, if you want to win back your ex. Although it can be painful, you must be honest to yourself. Financial aspects and old habits should not be the reason why you want back the relationship. You have to analyze and understand the relationship objectively. Rarely is only one person to blame, if a relationship fails. Serious problems do not appear overnight, but evolve over time. Unfortunately, a lack of communication is all too often the main reason for the end of a relationship. However, it is something both sides have to work on. More difficult, but by no means hopeless, are problems such as infidelity, insults, fear of commitment or jealousy. A well-functioning communication is inevitable in order to avoid old mistakes and certain types of behaviour. The analysis of the failed relationship also includes the question of who initiated the separation. It is very important to be aware of who broke up and why. Was it you who decided to end the relationship or was it your ex-partner? In many cases both sides agree that they should go separate ways. If it was you who broke up, the chances to win back the ex are higher than the other way around. Do you miss your ex-partner or rather the feeling of security? Do you want to build a life with this person or do you just miss the feeling that someone is there for you? It is very important to be honest with yourself regarding these two questions. This is the only way to find out whether you really want to win back your ex or whether you just do not want to be alone. Be clear to yourself about this. Do not make an imprudent decision. Many people who want to win back their ex are pushy and over-motivated. Frequent calls, endless messages or spying and stalking are absolutely counterproductive methods that will only frustrate the ex. A temporary “contact ban” is the more sensible way to deal with this situation. Accept the distance created by the separation, even if it is difficult. This is indispensable if you want to have a chance to win the ex back. Too much closeness drives the ex-partner further away and leads to more distance. The distance can be very helpful for you, as well. After a separation you should take time for yourself to become aware of your feelings. This way you get to know yourself better and can deal with things that were neglected during the relationship. The „contact ban“ is an important step in becoming aware of one’s own feelings, and it helps us work on ourselves. During this time, the focus often shifts back to family and friends or to the career. Focus on your strengths, talents and on your appearance. Become the person the ex-partner fell in love with again. It is important to remember how the relationship began and why the other person fell in love with you. Did you win your partner with your spontaneity and humor? Or with your passion? Whatever the reasons, try to rekindle the passion. In such a situation it is often helpful to improve your outer appearance. New clothes, work out exercises or a visit to the hairdresser can work wonders. Of course you should not change your personality, but it can have a positive effect, if you look fresher and happier than how your ex-partner remembers you. Do not sink into self-pity. Be active, meet with friends, meet new people, or start a new hobby. Set yourself new goals. It is the ideal time for things you have been wanting to try for a long time. It does not matter whether you are a man or a woman, you always look much more attractive when you enjoy life and radiate happiness. What Happens after the “Contact Ban”? You should not contact your ex first. If the ex-partner had enough time to think about the relationship, they will most certainly contact you themselves. Because it is usually during the “contact ban” time that the other person becomes aware of what was important to them. However, if the ex does not contact you for weeks or even months, their feelings have not been strong enough. But if you are important to them, the ex will ask for a meeting and a conversation. Be sure to do something non-committal like eating in a restaurant or going to the cinema. A day in the sauna or an invitation to your home sends wrong signals. A relationship should be based on friendship. Therefore, it is very important that you become friends again, before romance and passion can rekindle. And remember not to be pushy. A too fast new start would not make sense, because there were reasons for the separation. Do not court your ex. Do not plan any revenge. Do not blame the ex. Do not talk badly about your ex-partner in front of your friends. Do not seduce the ex. Do not try to turn the children against the ex. The next step is to rebuild a healthy relationship with your ex-partner. Since in most cases lack of communication has led to the breakup, it is necessary to talk openly, especially about problems. It is also advisable to recall what led to the separation. Disputes or disagreements should be dealt with cautiously. You should treat the relationship like a new one in order to avoid falling back into old patterns. When dealing with controversial issues and recurring problems, it sometimes makes sense to go to couples therapy. In therapy sessions couples can talk openly about their feelings and fears, which can be very helpful for rebuilding a healthy relationship. An objective opinion helps to better understand the other person’s feelings and motives. Problems should be tackled at the root.